This light and airy top-floor Lower Pacific Heights flat was thoughtfully remodeled to showcase an open floorplan living space. 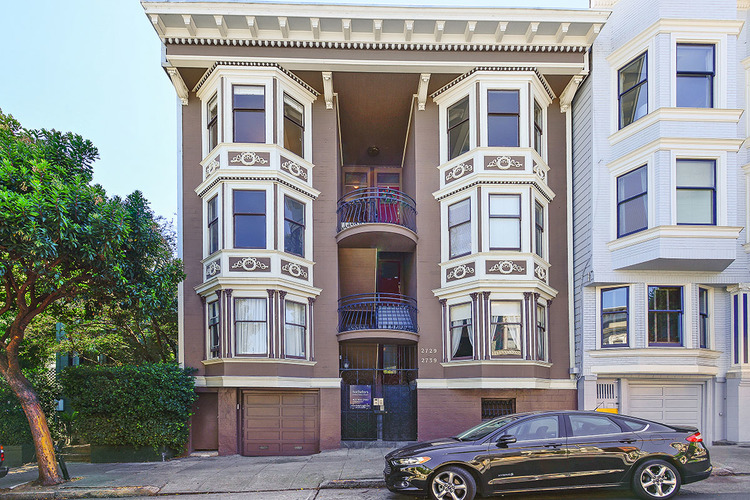 The welcoming living room allows you to gather around the gas fireplace or gaze out the bay window, which overlooks Pacific Heights, Alta Plaza park and even down to the Transamerica Pyramid. The adjoining chef’s kitchen is perfect for entertaining, featuring stainless steel appliances, Bertazzoni 5-burner range, wine fridge, quartz countertops and contemporary glass tile backsplash. The master bedroom includes custom-built closet system, in-unit washer/dryer and a sunny bonus room overlooking the landscaped yard. Each of two bathrooms in this home are well appointed with Carrara marble, glass tile accents, and radiant heated floors in the master bathroom. Additionally, there is 1-car designated parking and an additional storage closet in the garage. 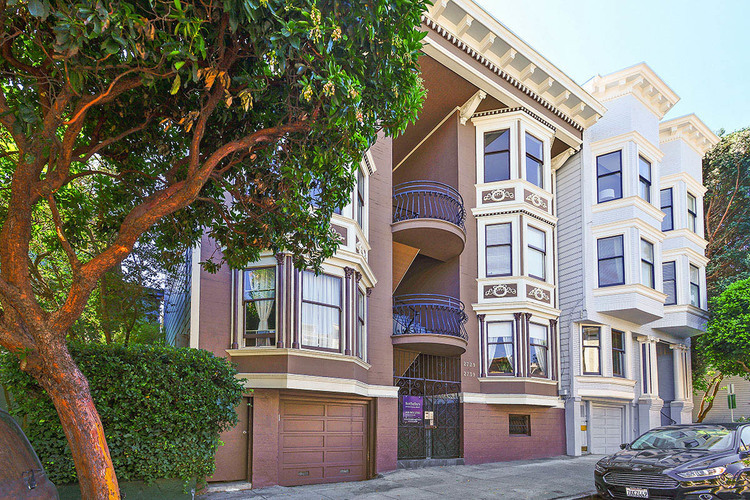 Located just one block from the Divisadero corridor and easily accessible to the JCC, Laurel Village and Pacific Heights, this home has 97 walkscore!